It’s a good start that you begin to look for methods to stop drinking alcohol. It’s really a hard battle to overcome an addiction to alcohol. You may have to get mentally prepared that there is a long, painful and bumpy road to go. Nevertheless, well begun is half done. And here we provide some tips about how to quit drinking alcohol, hoping to that those will be helpful for your following hard road. Set goals. Goal setting is important for many things because a goal can give your life a framework and a sense of purpose, thereby you know how to do and what you want to achieve. Quitting drinking alcohol is no exception. You have to set goals but never unachievable and general ones. Be honest to yourself. You can break the ultimate goal of quitting alcohol completely into small goals, which may be helpful for you to maintain the aspiration to quit alcohol. Make lists. Two lists are needed, one for the reason you want to quit and one for the plan you have to obey. List all the reasons you want to quit drinking alcohol, the more the better. This can help you renew your commitment anytime. 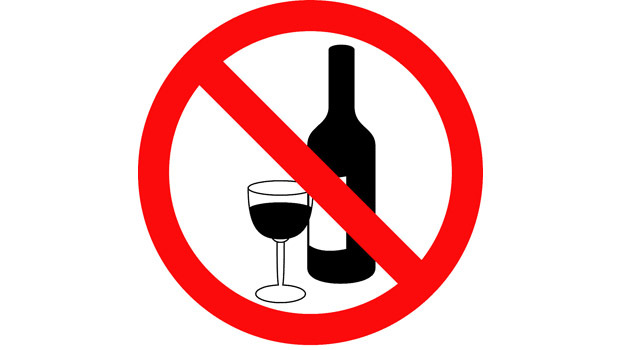 Make yourself an alcohol quitting plan and obey what the plan tells you to do, I begin to quit alcohol at 24, July; I must say no when offered a drink, etc. You can also list all the benefits and cost of drinking and not drinking and do the evaluation by yourself to see whether drinking is worth the cost, which may help you firm the determination. Share the decision. Go around telling all your families and friends you want to quit drinking alcohol and share your plan with them. It’s a bumpy road and supports from families and friends can play an important role. You not only need them to tell you that you are doing the right thing, but also need them to create an alcohol-free environment for you. Moreover, they can help preventing you from touching the bottles and cans when you can’t manage yourself. Evaluate your process and reward your progress. Check your process to see if you have done all the things according to the plan and whether the changing is heading to the goal. Reward yourself a big meal or to do something fun with your families or friends. And at the initial stage, buy yourself a present if you don’t drink alcohol at the time that you used to drink. And imagine the bright blueprint that the sobriety will bring along. Keep away all the cans and bottles away. Avoid social occasions that alcohol is necessary as much as possible. Distract your attention by doing some exercise or other fun things when you want to drink. Limit your money to buy a drink. Recall the benefits of sobriety. Meditate regularly in the morning is helpful. Turn to doctors, counselors offering addiction treatment service for professional help if necessary. Try prescribed drugs or complementary therapies.